Welcome to Pelem Ukulele site. 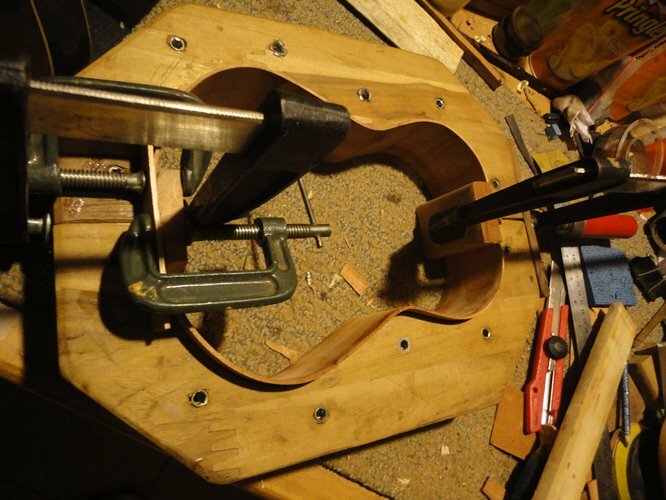 We build custom made ukuleles made of wood that came from various places in Indonesia. Throughout years we have built hundreds of ukuleles. We experienced with them to build not just the best sounding instruments, but also instruments that has outstanding appearance. We learned that building an instrument with hand could increase the sense of a builder on woods. Working on wood means cutting the wood in pieces, sanding to get the right thickness, bookmatching etc. We believe these skills could not be compared with any machine in mass production building. It is a ukulele that specially built for a customer. We believe that a custom ukulele is not just our — builder– responsibilty, but also a customer’s responsibilty. Our responsibility is to keep the ukulele as perfect as possible as customers specifications, and also a guarantee if it needed. Customer’s responsibility is to choose the specifications such as woods, specification, appearance such as inlays, rosette, binding etc which suits them as a player. Our instruments made of high quality wood that available across Indonesia, specially Java. In order to achieve great result we are choosing, thicknessing and tuning the wood ourself to deliver the maximum potential of the wood itself. Delivering the maximum potential of the wood means we are not able to change them into what we want. Please remember that woods are vary one to another. Just like human being, woods have their own face, voice and character. Pictures above are woods that we commonly use. We have tried all of them resulting purposes of each woods (read below the pictures). 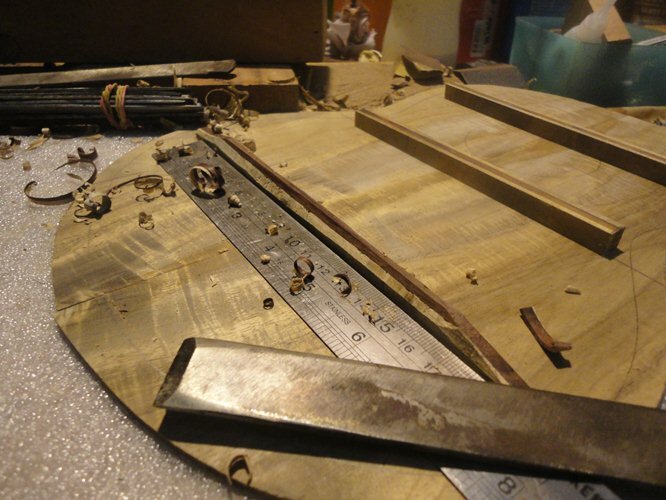 The top wood creates the main tone of the instruments while the back and sides creates the room of the sound. 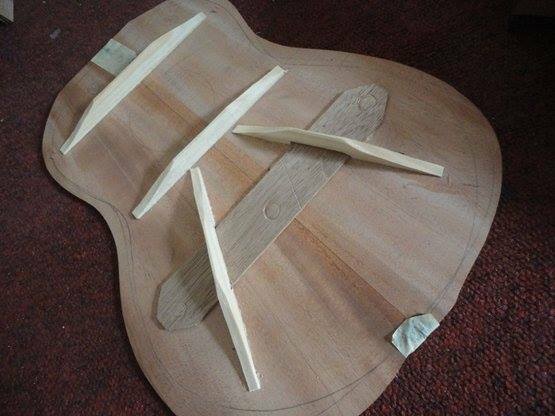 Top woods need to be lighter than the back and sides which creates the construction of an instruments. Yet, the back and sides affect the tone also. When constructors build a home, they designed with lot of measurements and ratios. The door heights need to be proportional with windows beside it. Building an instrument is just the same. There are no secrets on how builder are putting together the wood. 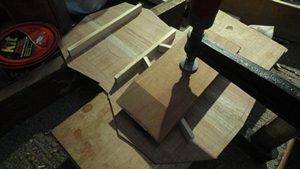 Yet there are some details that need to be taken care of since it would affect the final result, such as wood thickness and its soundhole, the heights of the body, scales and strings tensions, bracing shapes and many more. So how we build a good sounding instruments with all those ratios and measurements while still maintaining appearance? We learn by experience, seeing and hearing lot of good ukuleles, evaluate, re-design if needed and build more. The more experience, the easier we picture the final result of an instrument. it is a matter of builder's taste and experience. We build ukuleles in a variety of sizes from the tiny Sopranissimo to the big Baritone. All the details on each ukuleles we build are original designs. The measurements we use -- wood thickness, dimensions, and scales -- are based on our experience throughout years. By these we are able to put that 'javanese' touch from sound to appearance to playbility on each ukulele.